I have previously written about the F1.com video edits, which have been produced a few days after each race since the end of the 2007 season. Since 2008, every Grand Prix has had its own race edit video produced, which remains on the F1.com website for a year. They are fast-paced, slickly produced and often contain unusual camera shots that were never broadcast on the original Formula One Management live feed. Such shots include from within the grandstands, giving a sense of atmosphere no other videos can exhibit. Since 2010, they have included sometimes previously unheard pit to car radio. In Turkey that year the video edit revealed the radio disagreements between Lewis Hamilton and the McLaren pitwall as he diced with teammate Jenson Button, explaining his subsequent less than enthusiastic podium demeanour. In 2012 there were a record twenty races and ergo twenty F1 race edits. 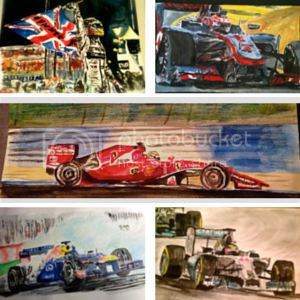 I have picked the five best videos of the year and explained my choices below – all are worth a watch as there really are no comparable videos around in Formula One and maybe even sport in general. Whichever video used 2012’s hit single “Levels” by Avicii was always going to have a good chance of making this list, to be honest. The Yas Marina circuit at dusk is a lot like the Marina Bay track in Singapore at night in that the ridiculously powerful illumination at the circuit makes the cars look stunning unlike anywhere else in the world. Until 2008, only at their indoor launches in January/February do the cars look this good, but now we have two tracks which seem built for televisual spectacle. This video is perhaps the best Abu Dhabi edit ever (marginally beating 2009’s “New Moon Rising” by Wolfmother soundtrack” and a whole lot better than Ellie Goulding’s “Starry Eyed” in 2010) and perfectly captures the magic of a desert setting sun. As the song breaks down in the third quarter, this magic is juxtaposed with gorgeous swooping shots of the other-worldly architecture of the Yas Hotel and harbour complex, before introducing some epic onboard and close up shots of the cars. The start, with the sped up zoom and roller coaster shot of Ferrari World, create an excitement that has you gripped all the way through to the clearly defined chase at the end, led by Kimi Raikkonen who “knew what he was doing”. Often it is hard to tell the narrative of the race from these videos, but this one tells the story perfectly whilst keeping the glamour and excitement (Nico Rosberg’s crash is phenomenal, for instance). This one makes it just because the introduction is perfect for setting the scene for F1’s return to America for the first time since 2007. The train, the beards, the Stetsons, the cheerleaders etc all look so iconically American (and, more to the point, Texan) in what instantly became the perfect new home for the sport stateside. The track looks fantastic in this video too – check out the steep incline to turn one followed by the colourful run off areas (which of course should have been stars and stripes, had some jobsworth not prevented it from being so). Whether or not you like this kind of music, you cannot deny that it works magnificently here. Much like the Korea 2010 video, this edit layers audio of pit radio engineers’ comments of “safety car, safety car, in this lap” over a fast drum and bass beat (then it was Chase and Status – Let You Go, here it is Rudimental – Feel The Love). Such music works beautifully with this sort of montage; indeed, it is often how succinct the images are with the audio that defines how good any given video is. The famous shots of Romain Grosjean’s pile up which earned him a one race ban are spectacular here and all the classic Spa Francorchamps camera angles are there, including the artistic shot through the trees panning right to left, as well as the annual shot of the victor (this year, Jenson Button) atop his car, arms astretch. It’s Monaco so as usual it gets a nice scene setter at the start of the video, full of glamour, girls and Will Smith on the grid. The tiemlapse of night to day at the Monte Carlo harbour is particularly nice this year, with some subtle de-focussing around the edges to give it a sort of miniature town feel. Blind Faith by Chase and Status is a great choice for soundtrack – if there is one thing that this year’s crop of F1.com race edits suffered from it is an all too often lack of decent soundtrack. Many are samey and predictable, so when they do get it right, like here, it shows. There are some glorious shots not used in the live feed broadcast showing the race from people’s balconies and girls sunbathing trackside, demonstrating the unique nature of the principality’s street race. Schumacher’s retirement is beautifully desaturated, whilst the staccato effect of the cars bunching up at the end of the race is perfectly in sync with the music. This video has all the elements of a classic British Grand Prix edit – the Red Arrows, shots of the crowd persevering in adverse weather conditions and the new “wing” pit complex that is so iconically Silverstone already. There are lovely slow motion pitstops in this edit, too, which can also be found in the Hungary video this year. But by far the main reason to watch this is to gasp at the way one of the Sauber pitstops is shown late on in the video. It is hard not to grimace at the screen and that is all because of the brilliant use of multiple camera angles and pausing the pictures just at the right moment. It reminds you that even when these videos occasionally seem to have degenerated into an obvious and lazy format, the guys making them can still surprise you and take your breath away even after five years of making them. 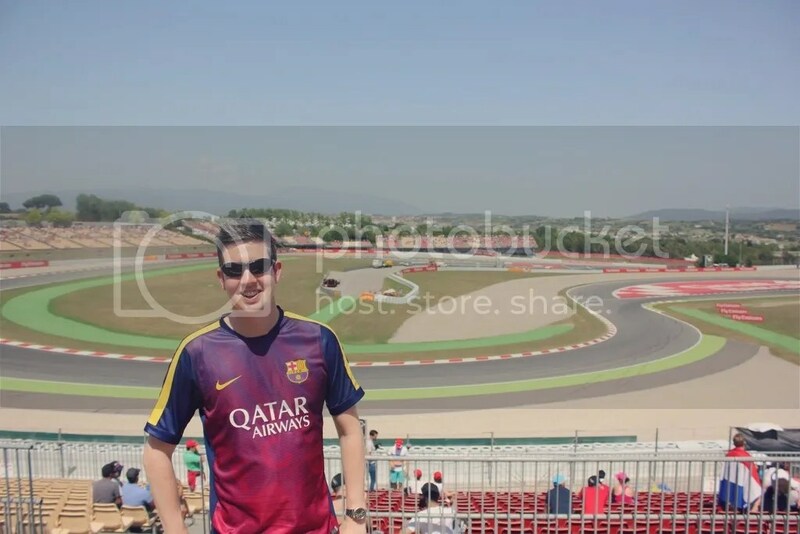 This entry was posted in Motorsport, Travel Videos and tagged F1, F1 Videos. Bookmark the permalink.